Let’s talk batteries for a minute. We all use them; basic things like smoke detectors, flashlights, remotes. If you have kids, well, don’t get me started on the number of battery operated toys and game controllers we have going on! We actually go through quite a lot of them, in all shapes and sizes, and ‘Mom! I need batteries for *insert random toy*!’ can be heard on a weekly basis at minimum. There’s no question that batteries have become essential for powering our world…and most of you, I’m willing to bet, are no different. Even rechargeable batteries have a lifespan. The question is: How do you discard your dead batteries? In this wonderful, wacky world that we live in, it seems that anything and everything has it’s ‘own day’. Batteries are no different! 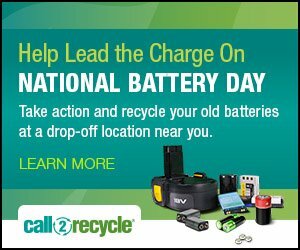 National Battery Day is coming up on February 18th, and each year Call2Recycle Canada celebrates this day to raise awareness about the importance of recycling batteries and keeping them out of our landfills. Honest truth? Until pretty recently, I always disposed of mine in the garbage. We’ve become really good at recycling most things…cans, bottles, packaging, paper products…basically everything curbside pickup takes. We also take old electronics to the depot for recycling. But I never really thought twice about batteries before. As a consumer, it’s my responsibility to properly dispose of and recycle my waste; including batteries. So I’m pretty thankful for campaigns like this that help educate us on the best and safest way to dispose of products we use regularly. Why is recycling batteries so important? It not only prevents potentially hazardous materials from harming the environment, and helps conserve our natural resources, but battery recycling can protect against potential fires by keeping batteries out of the garbage. And it’s super easy too! Did you know that more than 90% of Canadians live within a 15km radius of a Call2Recycle drop-off site? Because I didn’t! I really have no excuse now not to recycle our batteries, with many locations being near (or in!) locations we visit frequently. Visit the Call2Recycle Locator to find the drop-off location closest to you! I mentioned fire as a risk of tossing batteries in the garbage, and so you’re probably wondering how you can safely store and recycle them, right? Don’t worry, we’ve got you! Stay cool. Store the batteries in a cool, dry place. Incidents can occur when batteries are exposed to inclement or excessively hot weather. Store them in a plastic container; avoid metal. Possible damage? If you see a swollen or bulging battery, immediately put it in a non-flammable material, such as sand or kitty litter in a cool, dry place. DO NOT THROW AWAY. Contact Call2Recycle, the manufacturer or retailer immediately for instructions, especially if the label says it is Lithium or Lithium-Ion. Timing is everything. Aim to drop off batteries to recycle within six months, ensuring they are bagged or taped. You can use our locator to find the nearest drop-off site. After a house fire with batteries to blame made the local news a couple years back, I always taped the terminals and store them in plastic, but obviously, I was only half way there. The more you know, right? Now that I know better, I’m determined to do better and #LeadtheCharge. Are you? 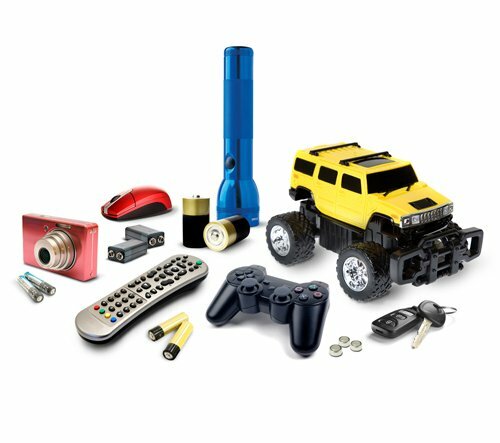 Call2Recycle is a not-for-profit organization works on behalf of stakeholders to provide its battery recycling program, at no-cost to consumers, across Canada through 8,000 convenient drop-off locations. Since its inception in 1997 the program has recycled more than 11 million kilograms of batteries! To kick-start your recycling adventure, Call2Recycle has generously given us a $100 Best Buy gift card to share with one of our readers, want to win? Enter below! I bring our batteries to a depot that takes them for recycling. It is so important to recycle. I try to recycle as much as possible. Thanks for the giveaway. I recycle all of our batteries at work. We head down to the recycling place just a few blocks away to recycle our batteries! I take old batteries to my workplace for recycling. I just stick them in my lunchbag and they end up going with me. We bring ours to our local recycling building! We have a bucket that we collect all our old battery’s in! Thanks! We always bring our batteries to a proper place for recycling. Not just the depot, but there are places like Ikea and Staples that take them too. You have to recycle them. I always bring them to my office where we have a special container for them. I had no idea you had to tape the ends!! Yikes, better get my batteries to the depot asap. I bring my batteries to Staples to recycle. Thanks…I didn’t know I had to tape dead batteries! Good info! All batteries are recycled at one of two recycling depots in town that are convenient to us. We recycle our batteries, so important to do! embarrassed to say, we have not been disposing them safely or properly …thank you for showing us the way!!! We bring our batteries to London Drugs for recycling. We use tape to safely store batteries. We have a designated container for used batteries and we recycle them at Staples. We use rechargeable batteries so we don,t have to worry about recycling them. I bring them in to get recycled. We put dead batteries in a baggy and we take them to London drugs for recycling. We have a bag for dead batteries next to th3 place we store new batteries. I save my batteries and take them to the recycle depot. Properly recycling batteries is so important and we try our best to do our recycling daily.! We bring them to a local recycling place. We dispose of batteries once a year. Thankfully there are now place to dispose of these toxic products. We have a bin in my building for recycling and bring our batteries down there for proper disposal. We gather them in a box and take them to a specified location at the dump. We keep them in a bag and bring them to one of the Call2Recycle sites in our city. we keep all of used batteries in a box by the back door to be taken to our local London Drugs for recycling. We have a container in the garage where we keep the dead batteries. My daughter is an earth ranger and takes collecting used batteries from not only our household but also our neighbor very seriously. We take them to the local recycling depot for recycling! We recycle all our batteries. The recycle depots take them. To be honest, I had no idea either… so I’d actually just toss them.. Thanks for the information. I will start being more environmentally friendly and recycling them. Just found a few months ago that our local library will accept batteries for recycling. They’ll also take our dead mice, since they’re small enough. I bring our old batteries into my work, we have a big bin that gets professionally disposed of every few months. We take them to a battery drop off location! We put ours in a special bag that gets picked up by the City a few times a year. We bring our batteries to the recycling center at our local dump. We collect them and then recycle them at the closest possible location. Thanks! We take them to a London Drugs for recycling. Our church accepts dead batteries and recycled them! Been doing this for a few years now. We’ve made the switch to rechargeable batteries about 6 years ago and i recommended it to everyone. Way better for the environment! I bring mine to work where there is a special ‘battery recycling box’! We bring all of our used batteries to the recycling depot just up the street from us. We have a small plastic container in our garage that we put them in, and since the building I work in is on the same property as the recycling depot, they are taken almost immediately after expiring because I am there so often. We have a recycle site that we drop off our old batteries. We have a recycle depot and it is currently at our local fire station where they take care of them. I have to admit that we aren’t the best at properly recycling batteries. We are supposed to drop them off at the depot. But we usually forget and put them with our dry recycling. Guilty! We take them to our city battery recycling facility. We put them in a metal container- then we take ours to our local recycling building! Bring them to a recycling depot. My daughter’s school does a big battery collection near the end of the year & encourages families to send all used batteries in so they can be recycled! I save them up all year & then send in a ton! 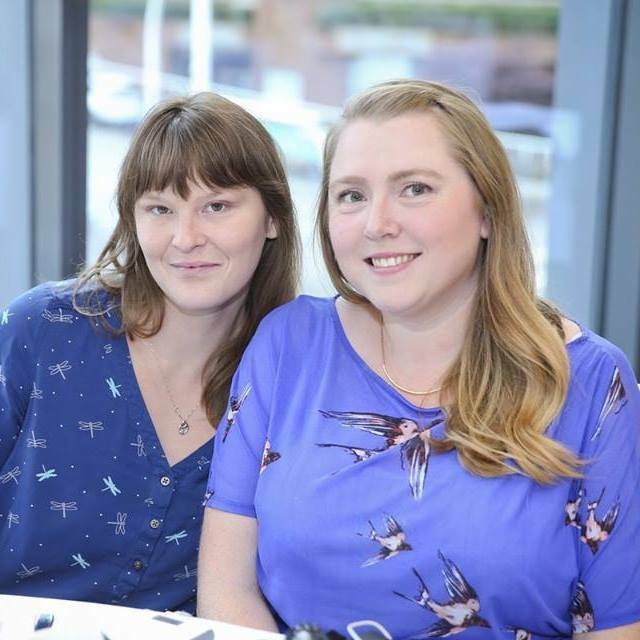 We do a run to a local Take it Back! retailer every 6 months or so with hazardous waste items they accept. I mostly use rechargeable batteries now but with non-rechargeable batteries, they get taped and tossed into a ziploc until they get turned in. We keep them in a box until we’re ready to bring them to a depot. at work we have a large funky looking container, once it is filled it is sent??? I am not sure. One of our local grocery stores has a recycle bin at the door dedicated to batteries! All of our batteries are saved in a container once they are used up and then we take them to the closest depot to be recycled. We have a box set aside where we put all our used batteries which we can easily access on our way out the door to a drop off location. We have a box that we save used batteries so we can recycle them when we have a decent amount. Otherwise we have a ton of rechargeable batteries. We have a small box by the computer, when it’s full of to the recycle depot they go. #LeadTheCharge we have a battery specific recycle ♻️ bin at work so we’ve been disposing properly for years. Apparently a battery made it in a bin at work for shredding and caused quite an incident with the shredder truck! I keep them in a zip bag by the door, so, that when I’m going to Ikea, I can bring them to recycle. I bag the batteries after they’re done and then after awhile I take it to a recycling center. I use mostly rechargeable batteries and collect others to take to them to London Drugs when I have a few. I’ll also be looking into where our bottle depot takes them (as mentioned above) as that would be a lot more convenient for me. We store old batteries in a glass container and hubby takes them for recycling, I don’t know where though. We take our batteries to London Drugs for recycling. We store them in a box in the garage and when we have enough we take them to our local eco center for recycling. I collect all the used batteries and take them to the recycling centre along with my styrofoam, glass and plastic bags that my curbside pickup won’t take. I recycle all my old batteries at a recycling centre. I take mine to the Lowe’s near us and recycle them there. I recycle my old batteries in the bins that are provided at work. They ensure that we have disposed of them properly.. We also have a program in our town that twice a year we can bag our old batteries and they will be picked up on the curb on special days. My work has a great battery recycling program. I bring them from home instead of throwing them in the garbage. We have a special recycling bin at my office for batteries so I take them to work. We tape the terminals with clear packing, non-conductive electrical or duct tape, keeping label visible. We gather the batteries in a container and when it’s full we take it for recycling. We keep our dead batteries in a box at home until we can recycle them at Rona. We collect them in a box , then take them to the dump to recycle. We have a community drop off depot where we can take batteries, paint, etc. Thanks for the super giveaway opportunity! I bring them to places that recycle it for me! We keep ours in a container and then every few months we bring them into staples to their recycling bin. My husband takes our batteries to work as they have a recycling bin there! All our electronics & batteries are taken to our local recycle shop. Any items that can be repaired or reused are donated to those in need (computers given to students) and all products are recycled. Everything is recycled even the wires in electrical cords! I keep ours in a baggie and then drop them off at a Staples for recycling. And it’s amazing how fast it fills up from keyboards + mice! I haven’t been, but I sure will make an effort to in future! I take my batteries to Staples to recycyle. We collect them in a plastic container and drop off the used batteries at a recycling depot or a Lowes. We use the bags that the city gives us and drop them off at the appointed place once we have enough. I am a teacher, so we bring them to my school for recycling. We keep a container in the garage for old batteries and when it is full we recycle them. all our used batteries are recycled properly. We have a reusable box in the basement that we collect all batteries in, including my husband’s hearing aid batteries, and once it is full we take it to my parents apartment building to be included with everyone else’s that are then taking to the local Orange Drop location which is the same as our hazardous waste collection site. WE always recycle our batteries at the depot to make sure it isn’t in our home and everything is safely dealt with properly and recycled. I learned quite a bit by reading your blog about recycling batteries. I thought that as long as they went to a recycling depot that was enough. I didn’t realize that getting them there with a set period of time was important. My daughter is an Earth Ranger. I have taught her to recycle including batteries. Her school collects them as part of a challenge so we ask friends, family and neighbors for theirs to to keep them out of the landfills. So many people are still discarding batteries into the regular trash so wee help educate and spread awareness. we recycle them at the recycle depot near our home! We bring ours to the recycling depot! We take all our garbage and recycling to the local dump. I keep the batteries separate and put them in the bin for batteries at the dump. I find having a separate bin is a good reminder, and then using drop off locations. My boys’ school always holds a battery recycle drive each year and they have rewards for the classes that bring in the most batteries to be recycled so I save them up and send them to the school at this time so they are recycled and the boys have a fun time collecting them. We bring our used Batteries to a Recycling Depot. We save them all up and when we go to the restore store (used stuff sold supports habitat for humanity) we put them in there bins. I try to recycle as much as possible, they have a program at work to recycle batteries. Thanks for the giveaway. We drop them off at a recycling center. 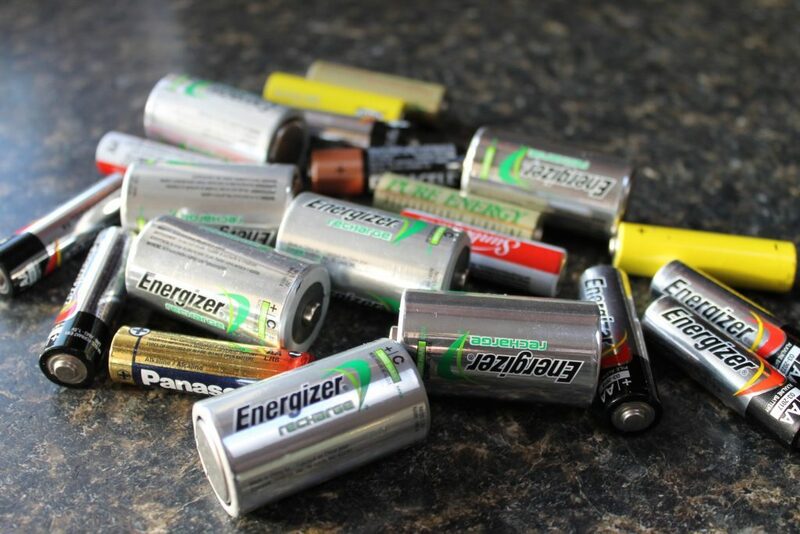 Collect all used batteries at home, and bring them to work. At work we have recycle bins for used batteries. I bring in our recycled batteries to work or staples. We take them to our local recycling center. The local library takes our batteries. I’m lucky because I have a battery recycling program at my workplace. I bring all of our old batteries (and it’s a lot with the kid’s Xbox controllers) to work for recycling! Always drop them in our electronics recycling, didn’t know about taping the ends. I bring our batteries to THESOURCE STORE that takes them for recycling. My workplace recycles them since we use a lot of them so I bring batteries from home to recycle at work. Unfortunately we just throw them away in the garbage! We save it in a box until we have enough and then we take them to be recycled. Blue crates are in our garage – 3 to be exact – 1 for paper/1 for plastics and the other for batteries & any corrosive type materials. Once a month we take all the goods to the recycling depot to handle and/or dispose of properly. Hubby’s work has a battery recycling drop box – but I know the use of the tape on particular ones is really important! I usually look up the nearest recycling place in my area to recycle anything that can be recycled. Woow Lovely Lovely Post. I really like it. WOW! I just found out that we have 2 drop off spots right in our neighbourhood! Thank you so much!